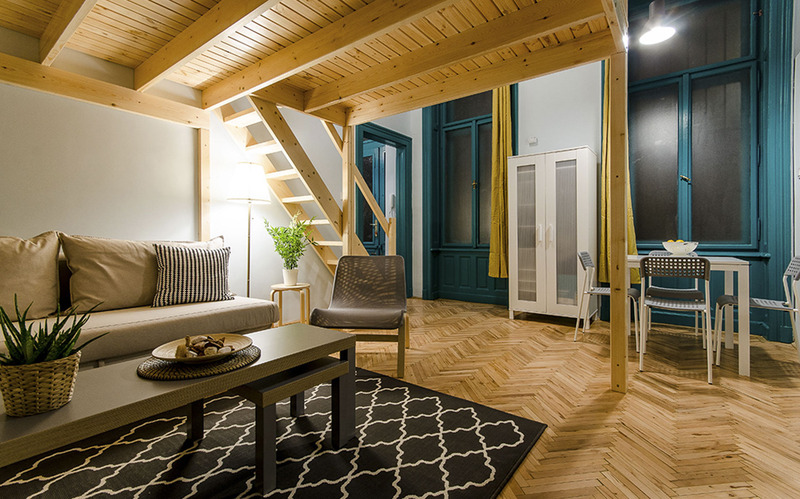 Lime Apartment is a fizzy studio flat in the city center for couples or friends. Its location is perfect to map the whole capital easily. The fully equipped kitchen and the bathroom with shower and washing machine provide a cozy stay for its guests. Lime Apartment is a cute studio flat in the heart of the city. This fresh and stylish home is perfect for couples or friends to map the whole capital. Almost every attraction is in walking distance, but just some minutes away is Blaha Lujza tér with an M2 subway line stop and a connection to trams 4-6. The fully equipped kitchen and the bathroom with shower and washing machine provide a cozy stay for its guests. Get the real vibe of Budapest! This starting point is perfect to explore the city center. The most fizzy party area is just a few blocks away with trendy bars, nice restaurants, bubbly clubs just like the famous Szimpla-kert ruin-pub and Gozsdu-udvar. On the cultural side you can discover the historical Jewish Quarter with the biggest functioning Synagogue in Europe and Liszt Ferenc Academy of Music. These are just some of the wide selection of attractions nearby your home.